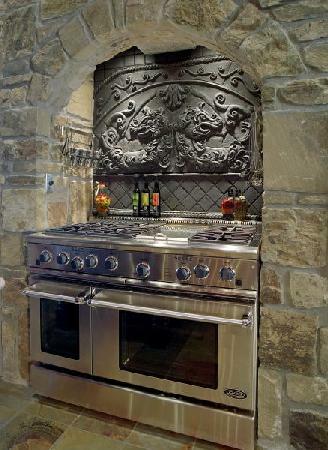 This dramatic backsplash is done in a black matte glaze. It was made in one piece and then cut apart to minimize grout lines. Moldings were bent around a template to complete project.